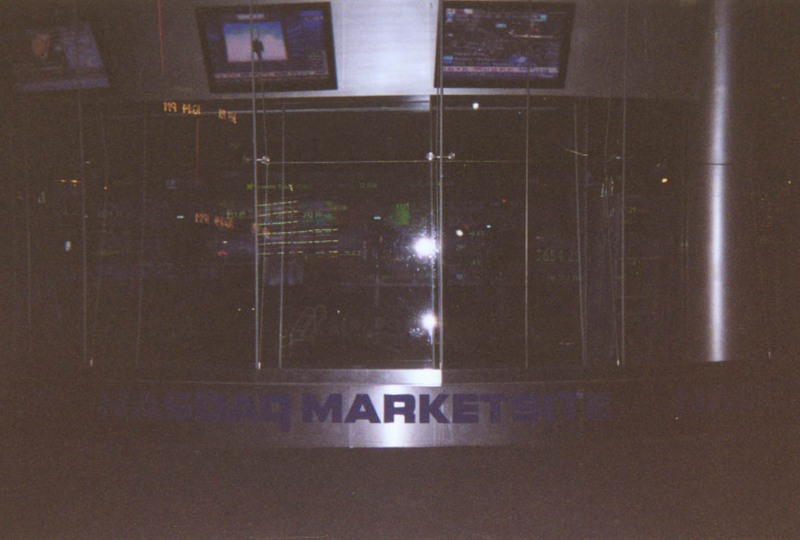 A picture of the NASDAQ building. 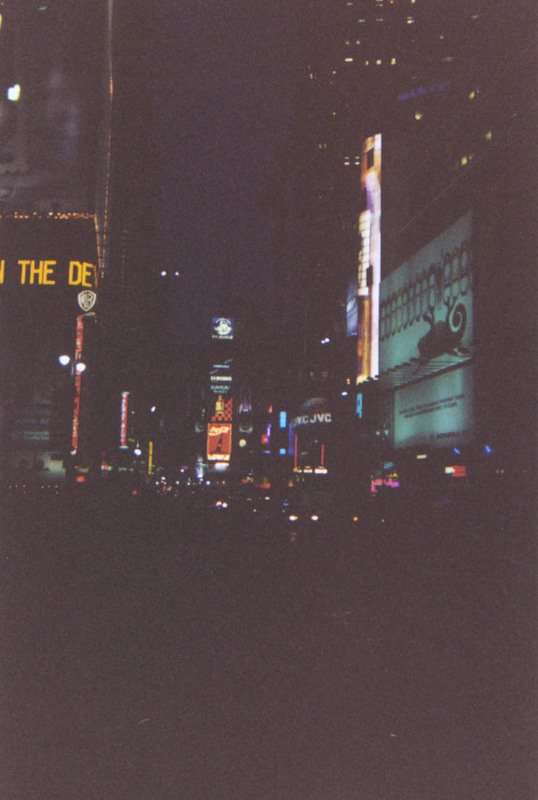 Darkness descends upon Times Square. We found a huge video arcade in Times Square called "No Such Thing as Too Much Fun" or something like that. 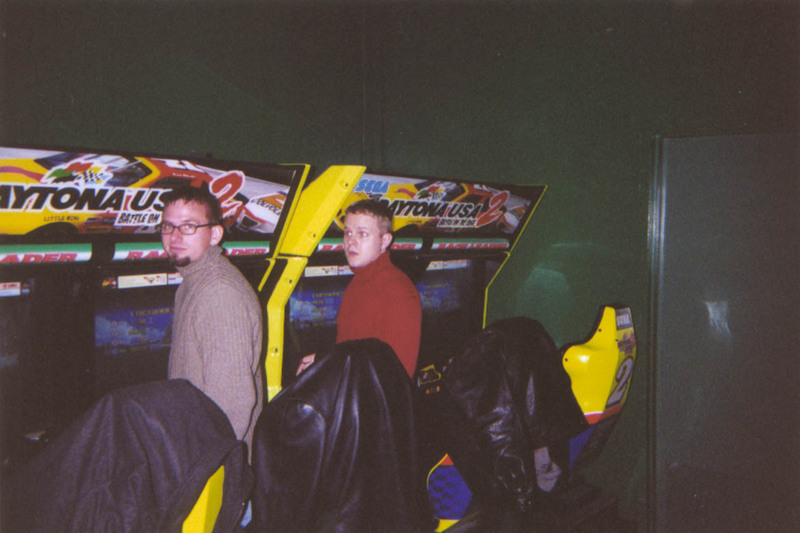 Huss and Morton just got whooped by Leake in Daytona U.S.A., arguably the best video game ever. We spent a good deal of time at ESPN Zone, as well, since it was like a second heaven for the R & R Connection. The three of us, along with another couple dozen people, spent a good fifteen minutes watching this truck driver single-handedly maul two parked cars when he couldn't negotiate the turn. 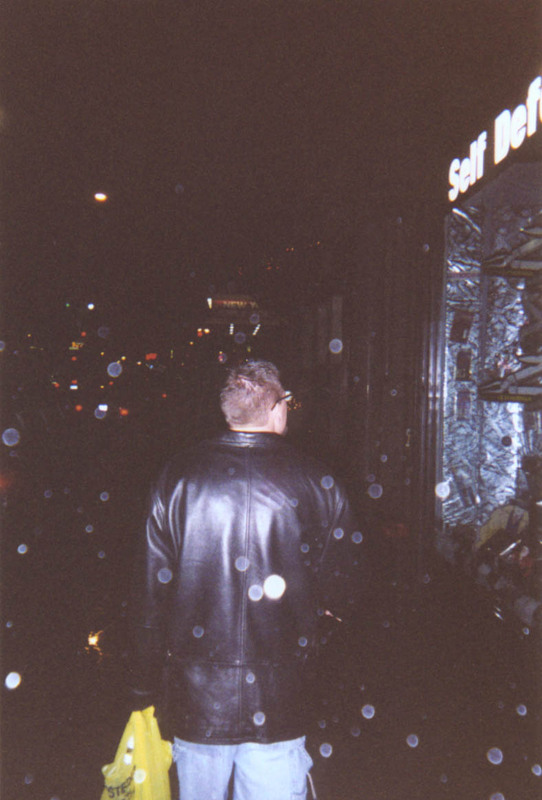 With the help of the NYPD he ended up driving away to the sound of applause, but the damage was already done. 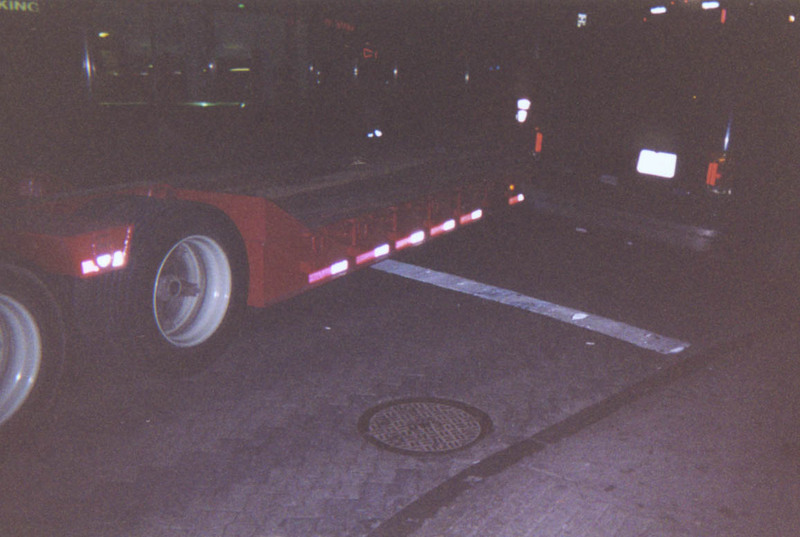 Mort wouldn't jump on the flatbed for a picture, so this was the best I could do. Friday night we spent some time at a bar called Off the Wagon, a local hangout for the NYU crowd, on McDougal Street in Greenwich Village. 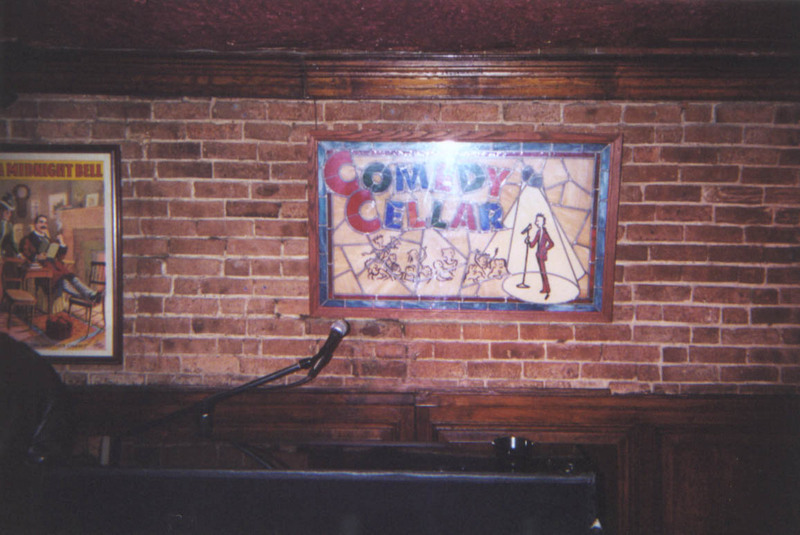 Then we went to a comedy club a couple doors down called Comedy Cellar. Big names perform there all the time. As I said, Comedy Cellar. 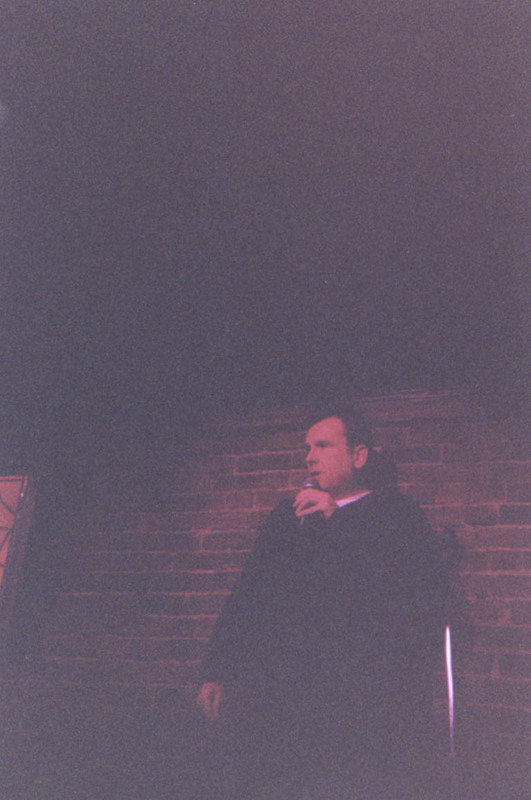 Colin Quinn was one of the comedians. Surprisingly, he was probably the least funny of the four. The others were hilarious. 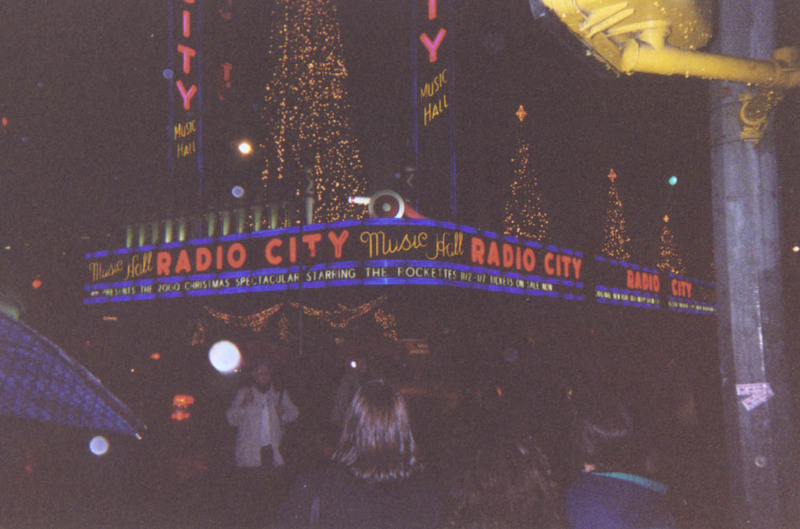 Back at Rockefeller Center, Radio City Music Hall again. 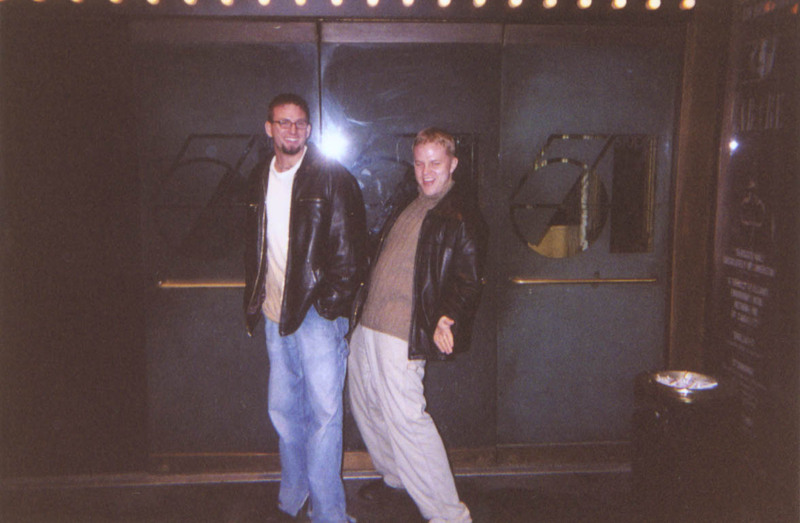 Huss and Morton freaking at Studio 54. Huss: this is his town, he just lets us play here. 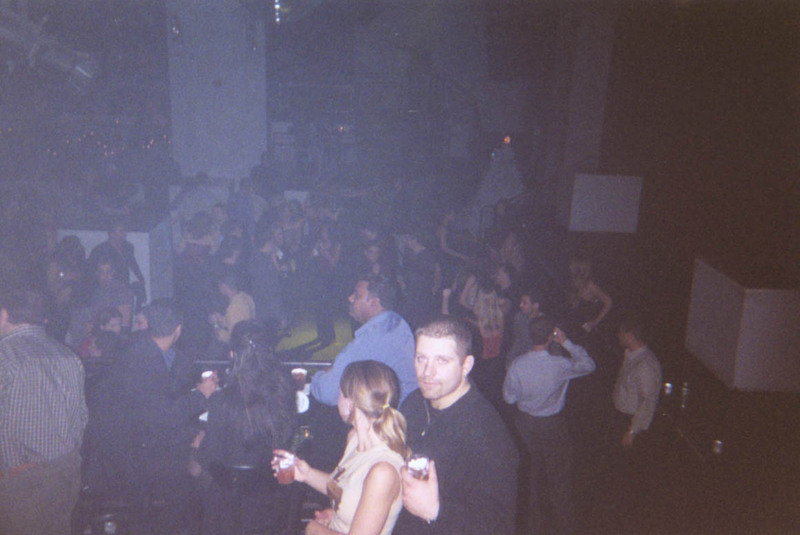 A club we went to Saturday night in Times Square, called World. Two friends came down from Boston and met us: Heidi and Julie. 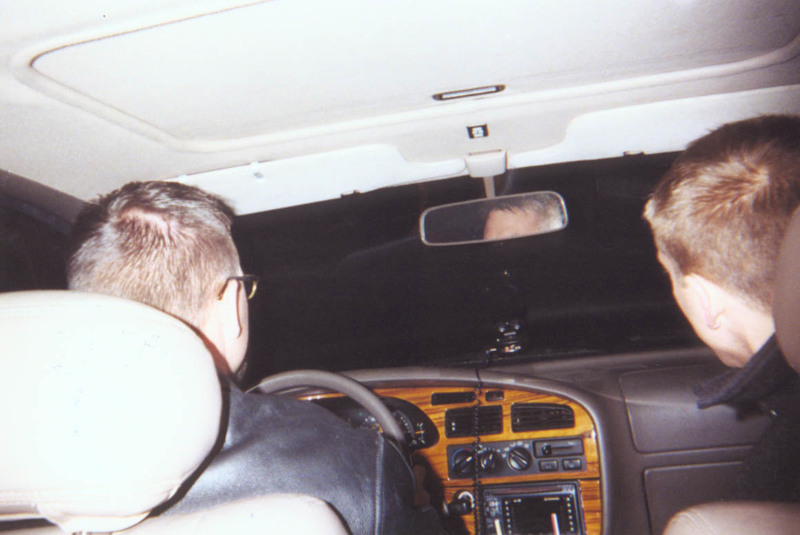 And the road trip pic: Huss and Leake cruising in the Camry.